Today’s post takes a look at the forthcoming trip of Britain’s International Trade Secretary, Liam Fox, to the United States to begin talks about a possible trade deal between the two countries. In the media on both sides of the Atlantic, but particularly in the U.K., there is a real concern about the effects that such a trade deal could generate, with an imbalance between British and American corporations being top of that agenda. So, in this post, we will assess these claims and examine whether a trade deal is being pursued for the right reasons, or whether the pre-Brexit environment is already becoming illustrative of life outside of the European Union for the British. Speaking in July, President Trump said he expects a ‘powerful’ trade deal to be conducted with the U.K. ‘very quickly’, and it is on the back of these statements that Liam Fox has travelled to Washington, D.C. The talks themselves, which the head of the TUC – Frances O’Grady - suggests is a ‘PR stunt’ for Fox, are supposedly concerned with rectifying some of the smaller barriers to the trade agreement, although the confident soundbites being uttered by Fox regarding E.U. trade agreement deadlines and even bias at the BBC, perhaps add to O’Grady’s argument. According to Fox himself, the focus of the trade deal will be on removing commercial barriers that could generate up to £40 billion, although it has been suggested that this version of a deal would very hard to deliver in practice. In keeping with the fallout from Brexit, Fox is keen to push the proliferation of the U.K.’s financial service sector, with the suggestion being that ‘the U.K. is already viewing a pact as a way for London-based banks to secure easy access to Wall Street, which might require the U.K. to accept weaker rules on financial services’. This worrying sentiment, coming just a decade after the U.S. financial system contaminated the global financial system, is not the only worrying element of the deal according to onlookers. 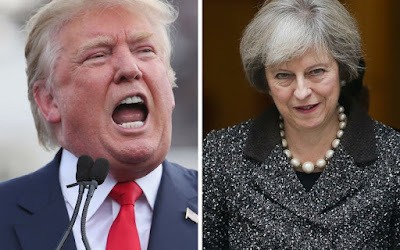 The Director General of the British Chamber of Commerce, Adam Marshall, has warned that a headlong rush into a ‘politically attractive’ deal with the U.S. could be troublesome, with the result being that the deal could lead to the ‘predatory purchasing of U.K. firms by bigger, cash-rich U.S. competitors’. This viewpoint, based on the argument that U.K. firms would face increased regulatory costs against the backdrop of a lack of trade negotiating knowhow from the British Government (with the suggestion being that the U.K. has ceded responsibility in this regard to the E.U. and has thus not developed the negotiating skills required to protect British firms), is almost guaranteed when we consider developments that have already been discussed here in Financial Regulation Matters. Even before any trade deal had been mentioned, the instability caused by the referendum result in Britain was more than enough to inspire predatory firms like 3G and Buffett’s Berkshire Hathaway to hunt British firms like Unilever; it is not a stretch to suggest that the trade-deal would open the gates to the same approaches. Yet, in essence, there are two competing narratives to consider. The first is that these deals, based upon the threat of Brexit, are unanimously playing into the hands of big business, whereas the opposing argument is that these bilateral trades are what the British Government must prioritise in the post-Brexit phase. One of these sentiments came from Len McCluskey, the Unite Union boss, and the other from a Governmental spokesperson, so there is no surprise there. Yet, if we take a more abstract view, the dynamics behind this deal are extremely worrying. Although the right-leaning press in the U.K. have been keen to demonstrate that this potential trade deal is worrying the E.U. and negatively affects their negotiating position, which it does not, the political positions of the two leaders in the deal is perhaps the clearest indicator of the concerns being put forward. In the U.K., Theresa May is under severe pressure from within her own party, in addition to external pressure. Reports suggests that she has lost the support of the grassroots Tory base, as well as the support of senior Tories, because of a number of failings ranging from her robotic reaction to the Grenfell Tower disaster to her massive miscalculation in calling for an early election; the situation is so bad that there are now reports that David Davis is the preferred choice amongst Tory members to succeed May if and when she leaves her post, although reports vary between support for Davis, Boris Johnson or the archaic Rees-Mogg, to no support at all for her resignation in such unstable times. Yet, with all that in mind, if we look at the other side of the Atlantic we see a political system in just as much of a state. President Trump has always been under pressure with regards to his Administration’s links to Russian officials, and recent stories of his son meeting with Russian lawyers and ex-Soviet intelligence have seen the official pressure being ramped up to such a state that the White House has had to issue statements refuting the suggestion that Trump would be pardoning his family and even himself. These developments, which quite frankly are damaging the United States’ great reputation on an almost daily basis, are representative of the post-2016 political arena – what has been termed ‘populism’ is actually the degeneration of standards and values. So, it is in this arena that this trade deal is being promoted, and it is for that reason that both countries’ citizens, but especially the British, should be extremely worried. It is clear that these leading politicians are taking action for small and visible ‘wins’ to perpetuate their support based on the ‘populism’ narrative – i.e. people can argue that it was right to vote to leave the E.U. because of the trade-deal with the United States. Yet, this is extremely short-sighted and positions the British public to be first to take the hit if things go wrong, and last to reap the reward. Theresa May and Donald Trump are so close to being removed from their positions that the simply do not have the capital to implement long-term goals. One is reminded of the ‘New Deal’ political movement that followed the last major financial crisis, perhaps this version should be known as the ‘Short Deal’ political movement.